Subscribe to our newsletter and stay updated on the latest news, events and special announcements! 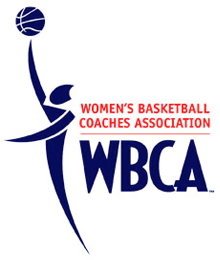 Our Vision is to support the further development of women's basketball and to champion Title IX initiatives through the expression of feminine dominance on the court. 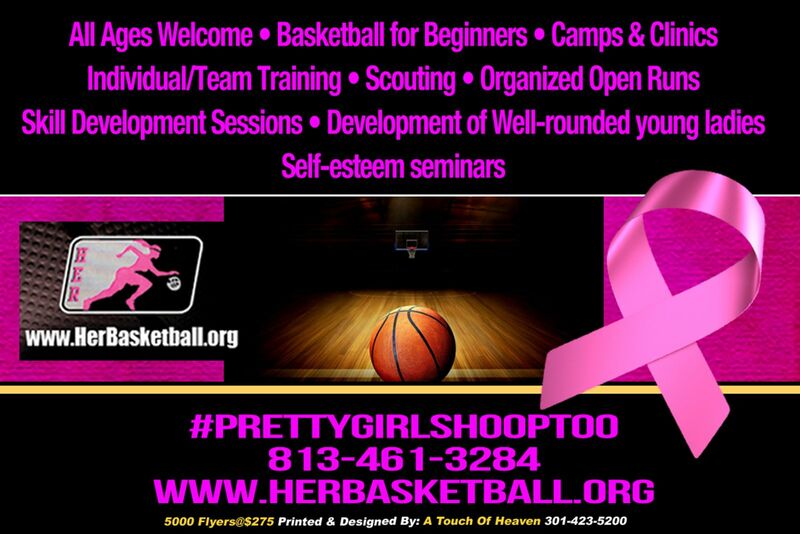 Our hashtag #PrettyGirlsHoopToo is a reminder that girls/women can be feminine and dominant on the court- without having to choose between the two. 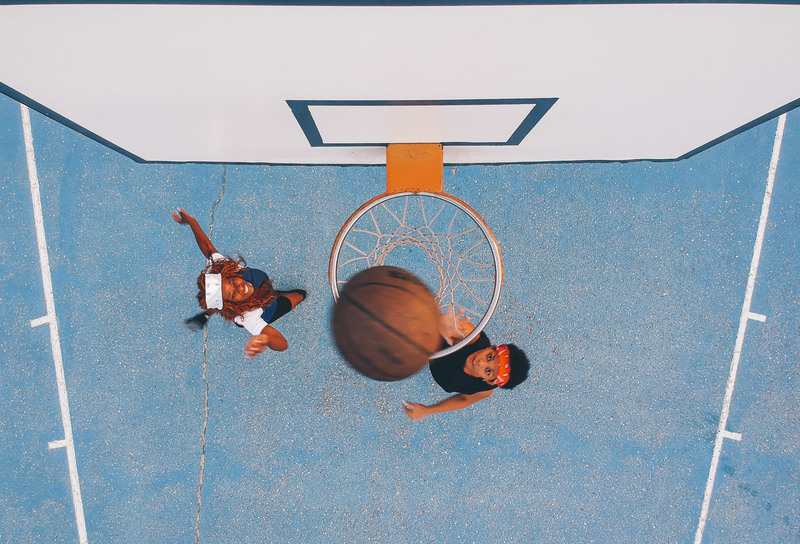 We provide “girls only” basketball properties to fully engage girls and young women with opportunities that this great sport has provided since it's founding by Dr. James Naismith. 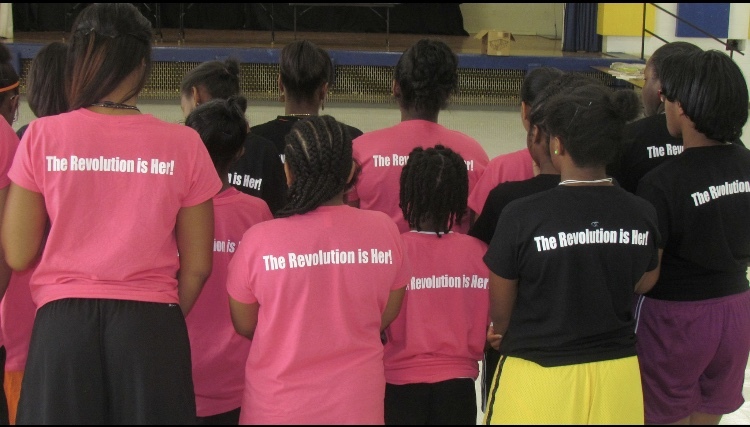 Each platform, including training sessions, are customized for girls to celebrate sisterhood and self-esteem in a safe, comfortable and competitive environment. Placing value beyond the court, life coaching is a prerequisite for our staff of coaches and trainers. 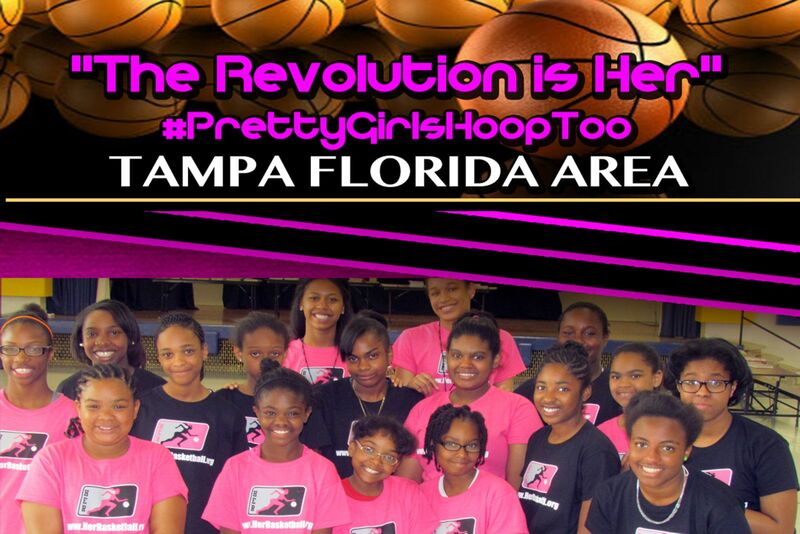 Terah Mustaf is the President and CEO of HerBasketball. Miss Mustaf, better known as Coach Tee, is a Prince George's County native and was a heavily recruited athlete in the DMV area. She is alumna of Eleanor Roosevelt High School which is a magnet public school and a powerhouse for sports in Maryland. Mustaf was a part of ERHS girls basketball team's longest consecutive winning streak in the school's history (5 Consecutive State Championships). She was a heavily recruited point guard, at 5'11, was ranked in the top 5 girls in the DMV of her class, and was known for her tenacity on the court. However, her knee injury the summer before her sophomore year and a series of 3 major knee surgeries before her senior year limited her Division 1 opportunities. She decided to go to Allegany College of Maryland, a junior college, where she became an NJCAA state and regional champion. However, Mustaf did not return as she focused her energy to coaching. Mustaf continued her education at a local junior college and paid a visit to her alma mater. 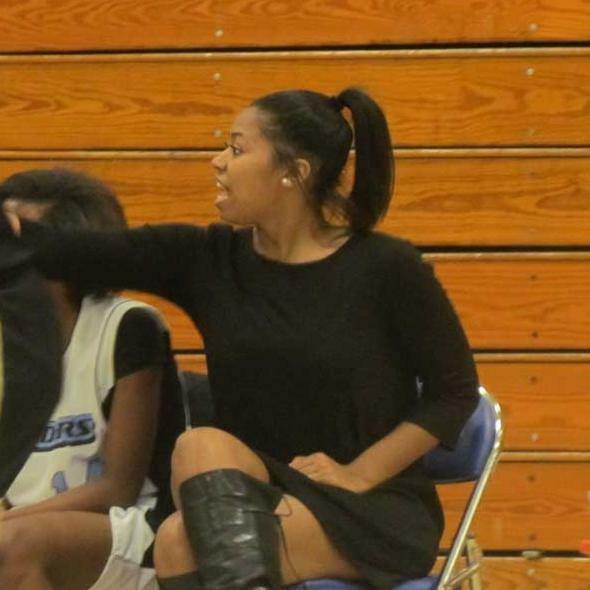 She became the head coach for the JV team and the Assistant Coach for Varsity, becoming one of the youngest HS coaches in the state of Maryland at age 19. She coached ERHS for the last six years; has assisted in coaching three state championship teams and had the pleasure of coaching several very talented girls, such as Tolulope Omokore, a forward at the University of Central Florida, Kaila Charles, a guard at the University of Maryland, and Octavia Wilson, a guard at the University of North Carolina Charlotte, just to name a few. 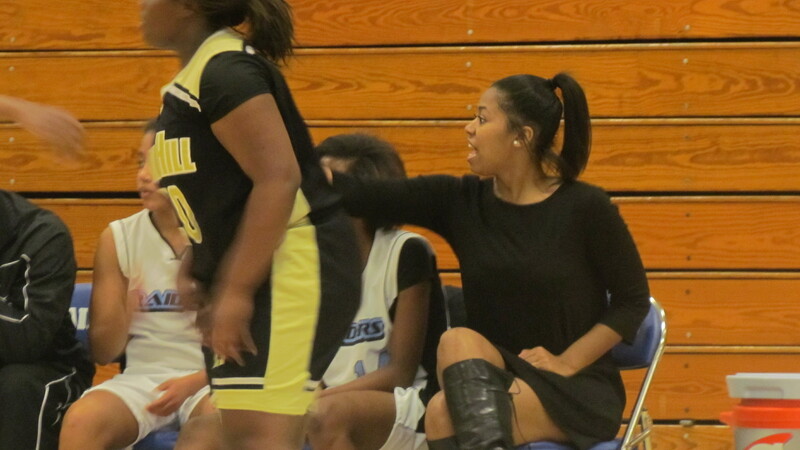 Mustaf loves coaching, but she feels she has an even greater calling. In the last six years she has seen girls go through several obstacles and was once one of the girls going through the many obstacles of trying to become a college athlete. Mustaf also observed a reduction of participation in girls basketball over the last several years and she wondered why that was. Other sports were not seeing that same decline. In fact, Mustaf noticed an increase in the amount of girls who try out for volleyball. Mustaf had multiple players who played on both the basketball and volleyball team. Mustaf said, "I've noticed my players who play both sports always choose to wear volleyball shorts to basketball practice, but never basketball shorts to volleyball practice, when practices are back to back. It makes me wonder if the decline has anything to do with basketball beginning to have a masculine connotation to it." 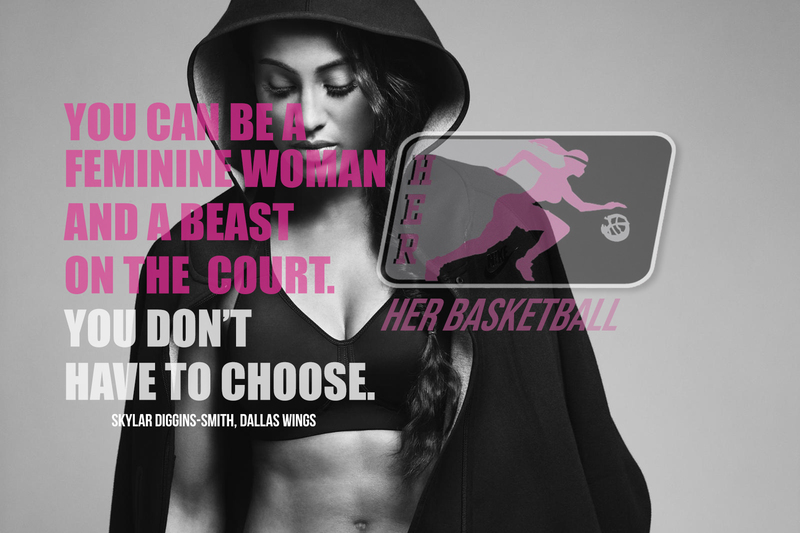 HerBasketball recognizes that girls want to feel confident while exuding dominance on the court. 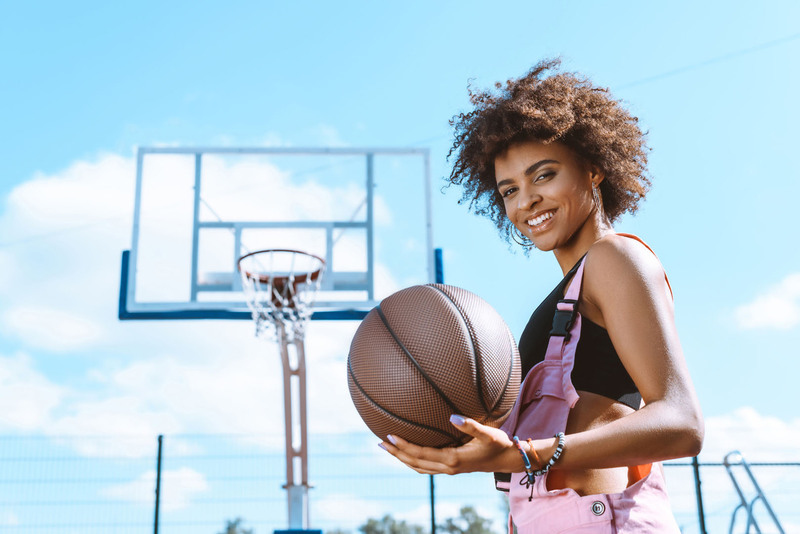 We understand that in girl's/women's sports, confidence starts by having the ability to look and feel feminine while playing their sport of choice. That is why Mustaf developed HerBasketball to create invaluable opportunities, sisterhood, and mentorship for girls by rebranding basketball because there's so much this sport has to offer. 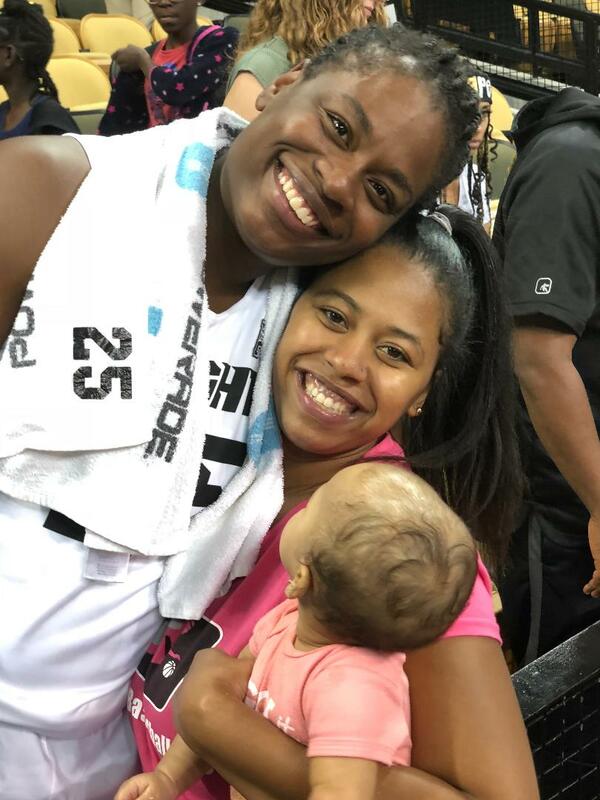 Although, Mustaf's health kept her from achieving her dream of competing at the highest level, basketball allowed her to develop lifetime friendships, leadership skills, and a passion for supporting girls and young women achieve their dreams through basketball...and Mustaf plans to do just that. 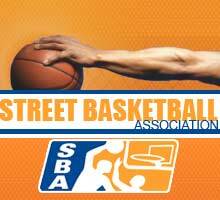 hosted by professional and college basketball players from around the globe. 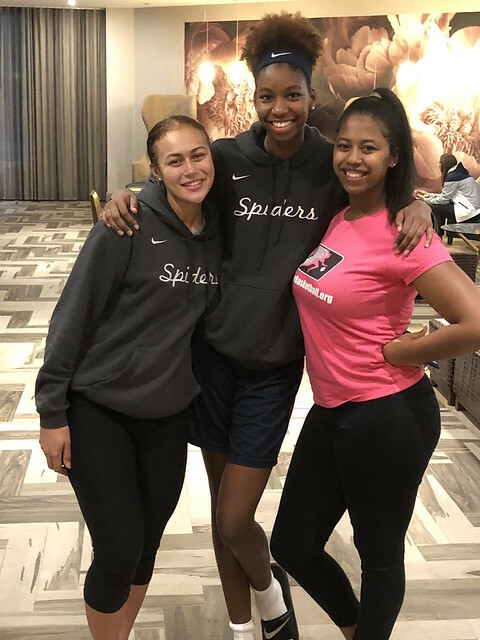 Spring 2019 during Live Period will honor our outstanding SHEROES, who demonstrated star behavior in the classroom, the community, and the court. Meet Our Team. 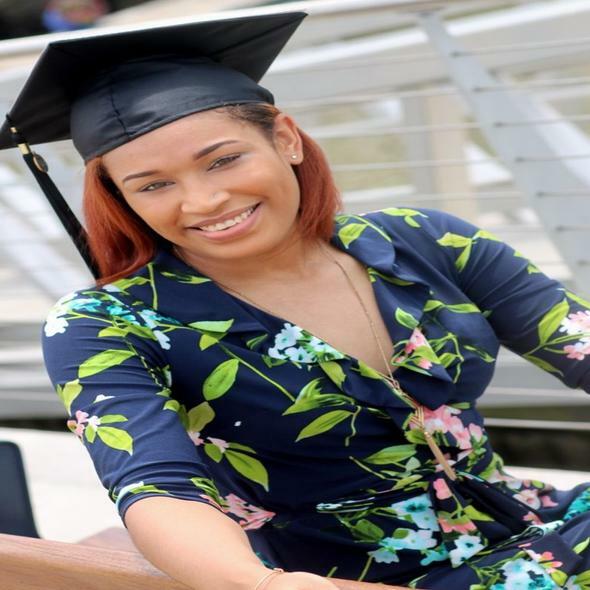 Get to know our staff and all the talent, experience and knowledge behind HER BASKETBALL..
Tyra Durrett is a graduate of American Public University. She graduated with a Bachelors in Public Health with a concentration in Health and Wellness. 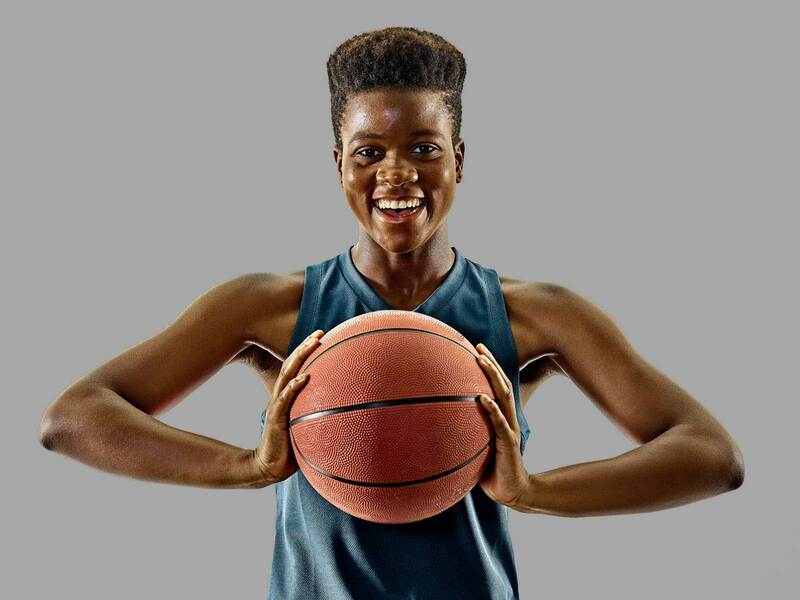 She started playing basketball at the age of 12 and had success in high school, which led to her earning a full athletic scholarship to Millersville University. During her freshman year in college, she was diagnosed with a career ending disease called Crohn’s Disease. 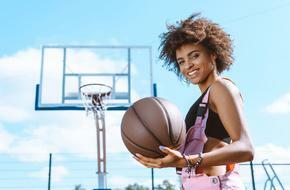 Her health decline and responsibilities of balancing school, basketball and life took a huge toll on her and she was forced to quit playing the sport. Due to her early retirement, she decided that helping others in the sport was equally rewarding. After retirement she coached middle school AAU girls basketball for two years. Tyra’s main focus, when it comes to helping others in the sport, go beyond coaching and skill building. Throughout her life she has learned that proper mental health is a huge part of success not only in basketball but in everyday situations. With Tyra’s life experiences, she has turned to the task of helping others whether they are children, young adults, parents, or coaches. View all upcoming HER BASKETBALL events including conferences, seminars, tryouts, and practice sessions as well as the dates and locations for each event. Various photos of participants, staff, volunteers, partners, sponsors and Her Basketball events. 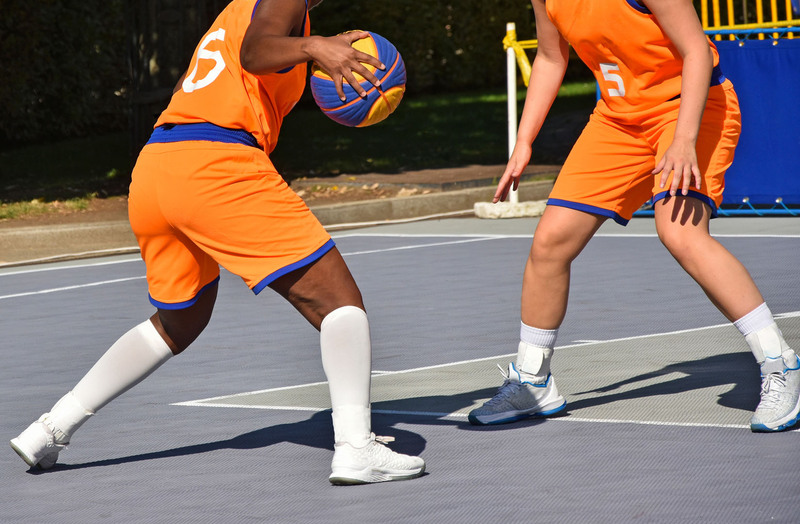 The HER Basketball works with companies, governments, nonprofits and other organizations to address complex challenges. Our partners contribute more than money. Their ideas, volunteer power, in-kind support and more are helping build stronger communities.